$9 million in federal grants will soon be going toward Michigan advanced vehicle technology projects. The federal government is giving grant money to eight Michigan projects focused on developing advanced vehicle technologies, with a particular focus on better fuel efficiency, the office of U.S. Sen. Carl Levin (D – Mich.) announced Wednesday. The government grants headed to Michigan companies and universities (list below) are part of $45 million in new funding from the U.S. Department of Energy, and are aimed at promoting the use of lighter materials, advanced batteries and other engineering to help improve fuel economy among domestic automakers and thus reduce U.S. dependence on foreign oil, Levin’s office said in a release. Three of the projects are funded by a joint, government grant-fueled, cost-sharing effort of the DOE and the U.S. Army known as the Advanced Vehicle Power Technology Alliance (AVPTA), which Levin helped create. The AVPTA aims to spur innovations in vehicle technology that can be applied to both commercial and military uses. The Army’s contribution to the partnership is overseen by the Warren-based Army Tank Automotive Research, Development and Engineering Center. 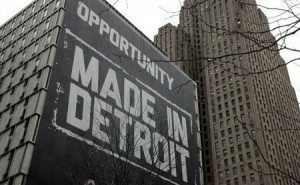 Wouldn’t it be great for this government grant money to jump-start Detroit to regain its status as a proud icon of American manufacturing innovation and quality?